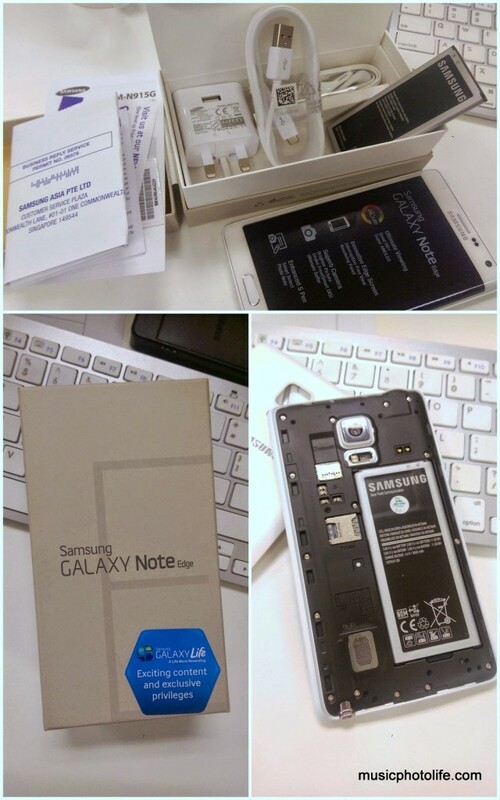 After reviewing the Samsung Galaxy Note 4, I was not expecting any major deviation in user experience when I got hold of the Note Edge (SM-N915G) from StarHub Community for a review. The Note Edge has a few differences from the Note 4. Smaller battery – 3000mAh vs. 3220mAh. The battery drains fast if you constantly use the phone screen. Both runs on the same 2.7GHz quad core, but the Note Edge runs noticeably more sluggish than Note 4. I was not expecting the tiny strip of the edge screen to be so useful, that is until I actually tried it. This is one example of how new designs need to be experienced to appreciate. At most times, the Edge Panels remain hidden until you slide it out or when there are incoming events. When the Edge Panel appears with notification, it does not take-over the current screen, so you get information without moving away from the current app. You can also customise the Edge Panel when it is idle to display text, images, or even doodles. Here are 3 things about the Edge Panel that changes the way I use my smartphone. The usual Android favourites bar at the bottom of the home screen is moved to the Edge Panel, which lets you add as many favourite apps as you like. Without the usual favourites bar, the home screen has one more row for your apps. The Edge Panel also facilitates changing apps by simply sliding out the Edge Panel and tap on the next app to run. This certainly cuts down a few clicks and taps to get things done a lot faster. 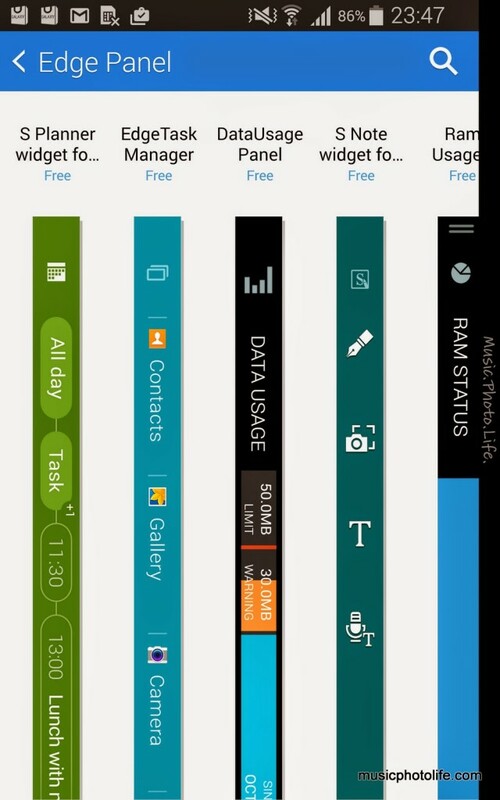 You may also add other Edge Panel widgets like S Health, S Planner, Task Manager, Twitter Trends. More will be available for download on the Samsung app store. 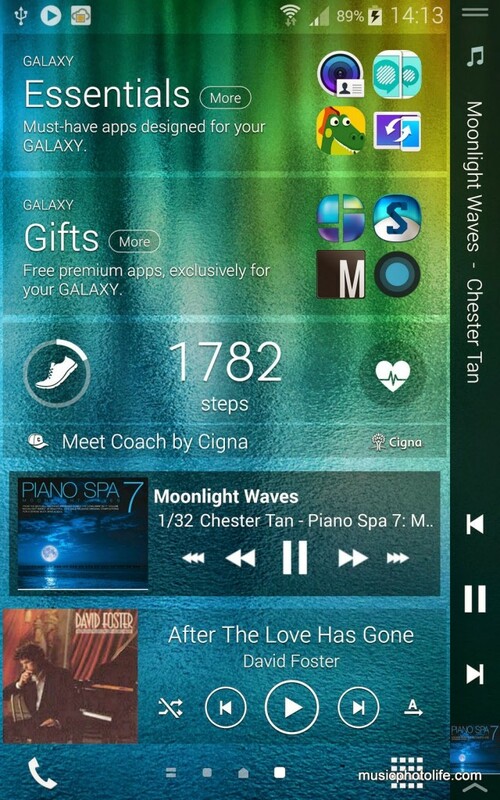 Although most apps do not utilise the Edge Panel, which will appear blank (or with your customised message), some apps use the extended edge screen for on-screen controls. 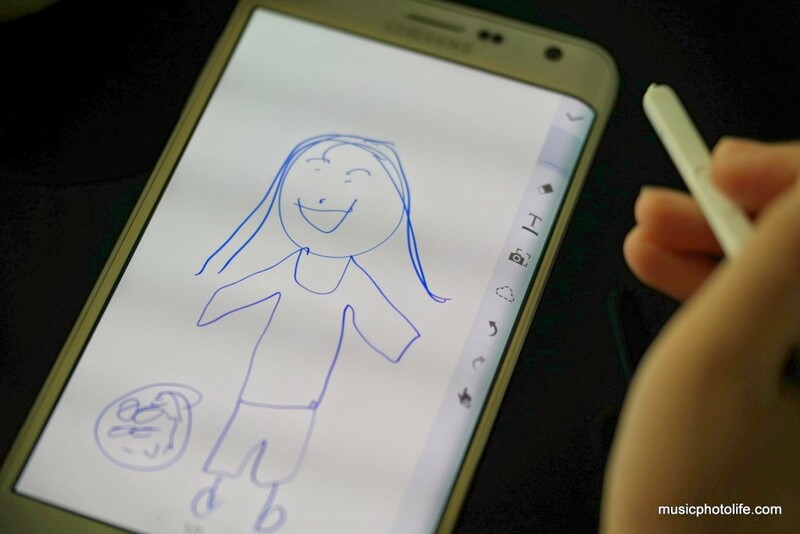 For instance, The S Note uses the edge screen to display the app buttons, thus freeing up the entire screen for your doodling. When music apps like PowerAmp is playing music, you can navigate the tracks from the Edge Panel. 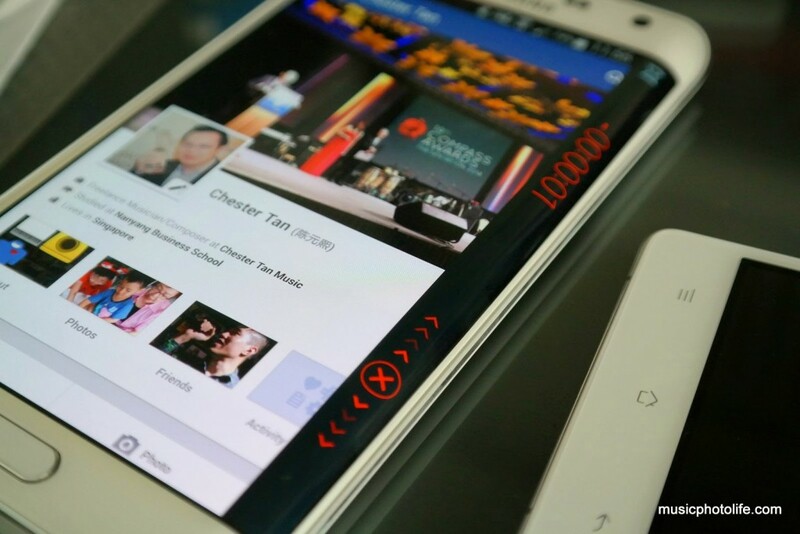 The best part of the Edge Panel is the ability to display new notifications without disrupting your existing screen. 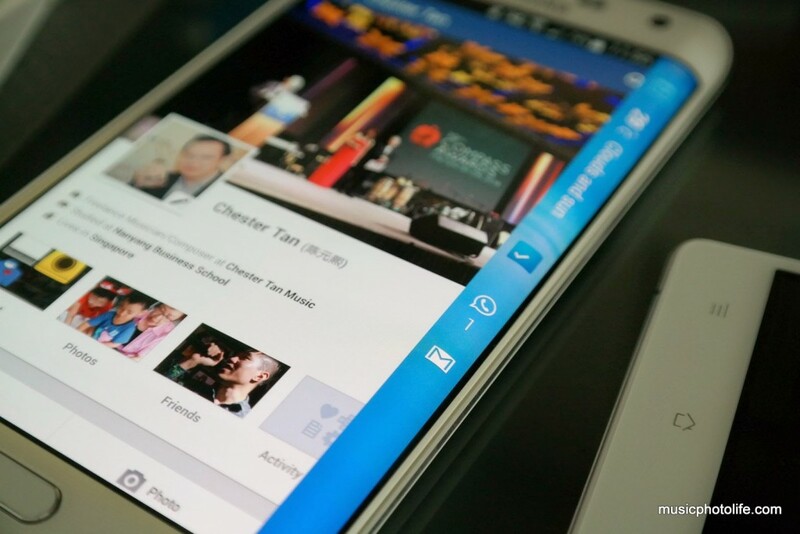 No more sudden pop-up of incoming call screen! For other notifications, it will display the message very briefly before disappearing. If you tap on the screen before it disappears, it will open up the app. 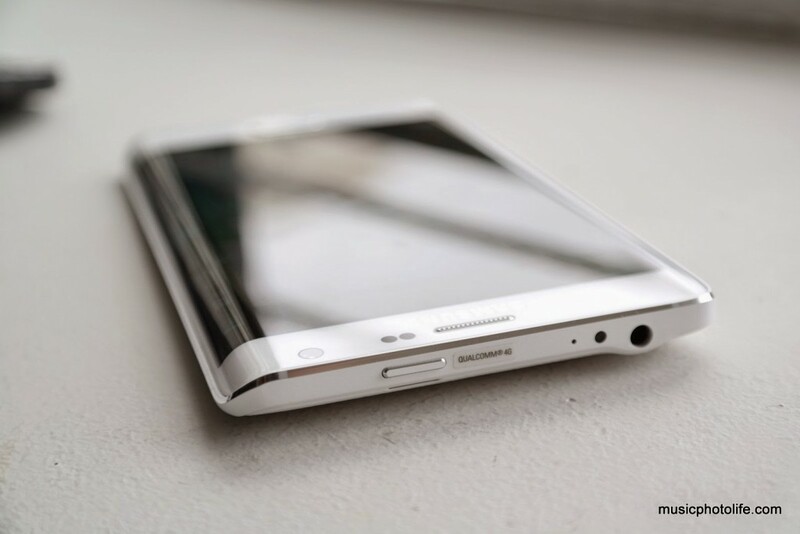 It does not feel as natural using a smartphone with this curved edge on one side. When holding the phone, you might accidentally touch the screen. When using the camera in landscape mode, it is difficult to hold the Note Edge securely because you have to keep your fingers off the curved edge. The other minor issue is that when you use the phone in landscape mode with the curved edge on top, you cannot pull the notification bar by swiping the screen down, because that will only pull out the Edge Panel. 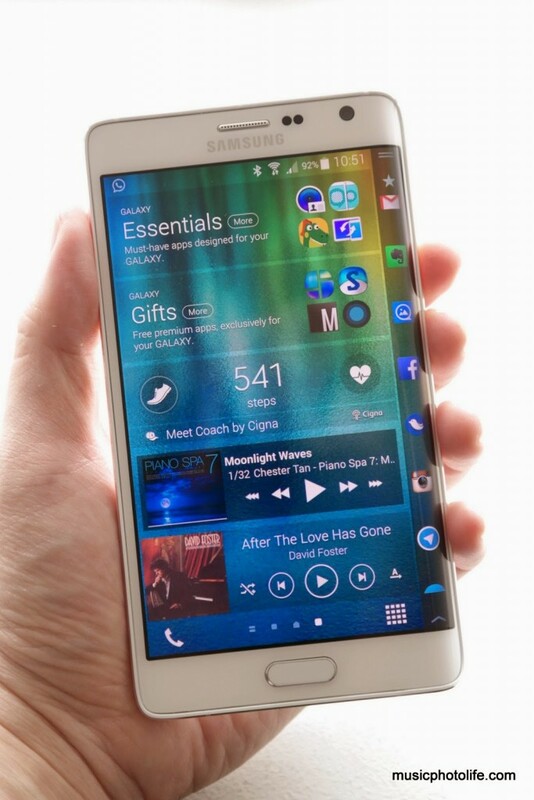 But once you get the hang of it, the Note Edge becomes a powerful assistant to help you accomplish tasks faster. I believe in no time, there would be loads of add-on widgets to make use of this tiny strip of valuable real estate. 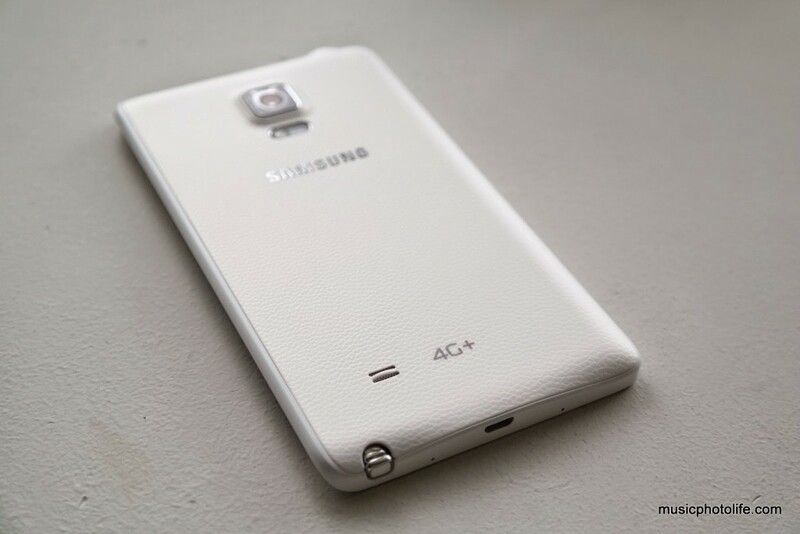 Note Edge or Note 4? 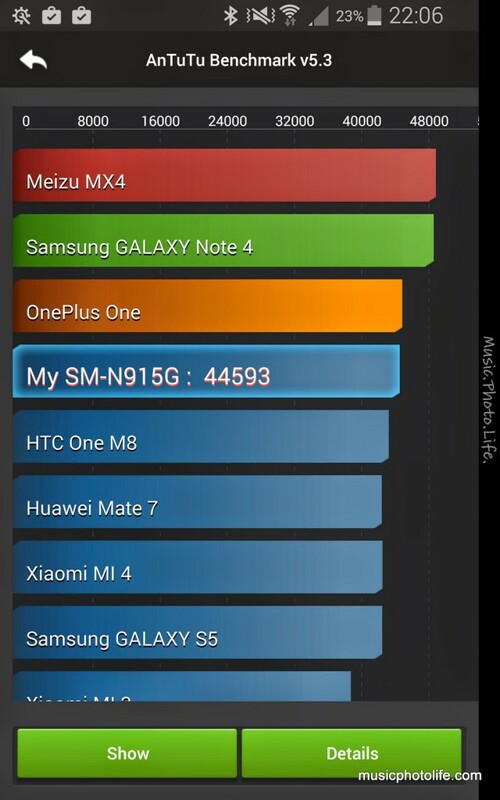 For consumers who do not find the above list of features makes sense, they are better off choosing the Note 4. It runs smoother, easier to handle with a symmetric metal frame, and is less expensive. 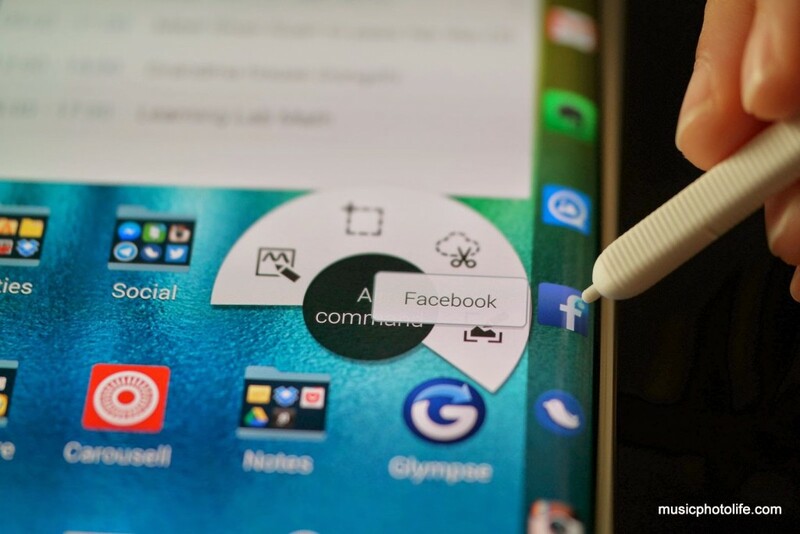 There aren’t a lot of innovative smartphones in recent years, so I appreciate the investment and financial commitment Samsung puts in to mass produce the Galaxy Note Edge and let consumers experience what a curved edge could accomplish. Given sufficient consumer feedback, I am sure the next iteration will be more practical and usable. 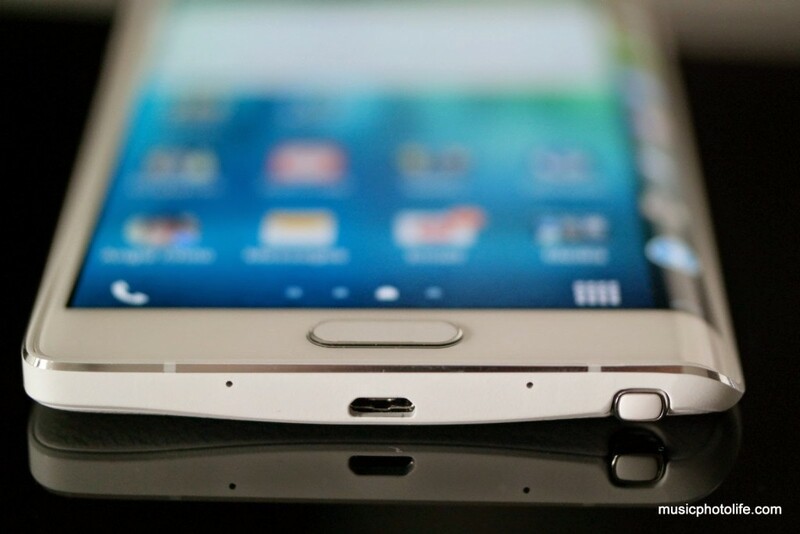 Pingback: Samsung Galaxy S6 and S6 Edge: Exclusive Preview Opinions and Photos – Music.Photo.Life. 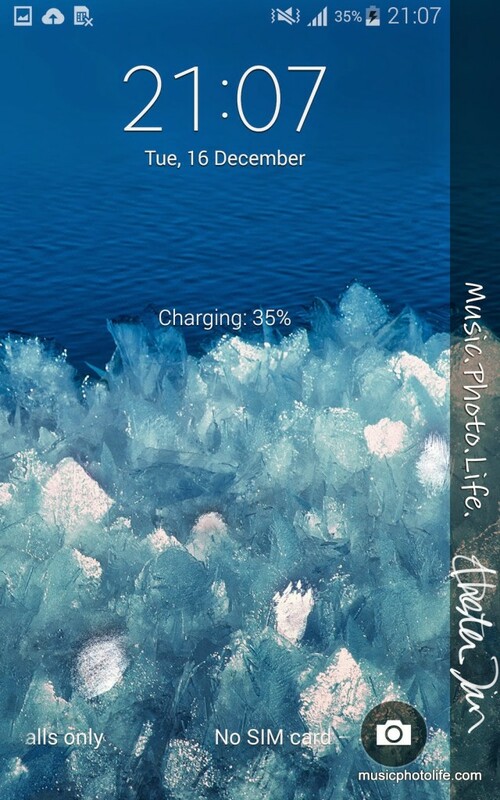 Pingback: Samsung Desktop Charging Dock – Works with Galaxy Note 4 – Music.Photo.Life.